As the country’s economic system has transformed over the past decade, hand-designed graphics have all but disappeared from North Korea, replaced, as it has in the rest of the world, by computer-generated work. 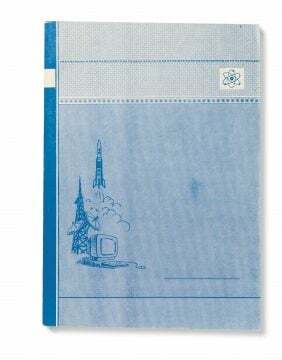 A comprehensive collection of North Korean graphic ephemera, the book covers a variety of hand-designed graphic elements for everyday consumer products, as well as postcards – many unrelated to political ideology, which is largely absent from the book. Then what is the message the author wants to deliver to readers through the collection of what he defines as “found objects”? And why did Bonner particular want to share hand-drawn graphics with readers, instead of the more modern computer-generated imagery? 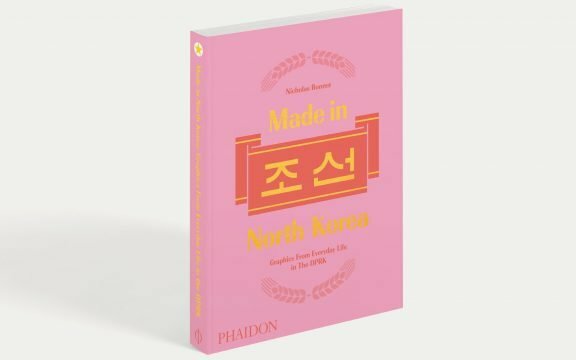 Bonner – whose company has also produced three documentaries on North Korea and a feature film – spoke to NK News about his new book, which you can purchase here. NK News: How do readers get a glimpse of North Korean life through the collection of the hand-drawn graphics? Nicholas Bonner: Of course, man is more than the things he has in his possession. But seeing the things that have belonged to people, that people so far from us in distance, experience, ideology, and culture, consume gives one pause, and gives the reader a chance to try for a moment to imagine themselves buying, consuming, and appreciating the same things that North Koreans have, and do to this day. While we can’t hope to put ourselves in their shoes in this way, it does bring a humanizing element to know that just as I have read jingoistic war comics in my youth, so have others like me in Pyongyang. Common experience and the empathy that goes with it is what is sorely lacking in most narratives involving ‘North Korea’ as an entity in its own right and the experience of its people, of whatever social standing they may be, in doing something so rudimentary and universal as buying something, unwrapping, it, consuming it, is something we overlook as a harmonising force. 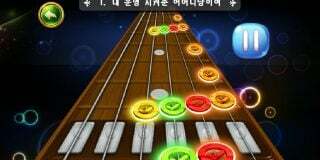 NK News: Are there any special reasons that you curated the graphic elements to mid-2000s? In your opinion, what are the big differences between the designs before and after the mid-2000s? Nicholas Bonner: The mid-2000’s mark the economic changes and the start of digital design and printing heralding the end of hand-drawn graphics, kind of Golden Age for me. Essentially the dawn of the machines – the computer age. When it became both easier and more in tune with the times to have packaging and products designed by a device that could standardize them. Modern comics, for instance, have much more of a cartoony feel than the ones in my collection. Cartoons made in North Korea look (aesthetically, not in their actual content) almost indistinguishable to those made elsewhere in the world. Of course, the move to being more in-tune with the rest of the planet is something to be welcomed. But the times when graphically they marched to entirely their own drum are what I am looking to show in this book. 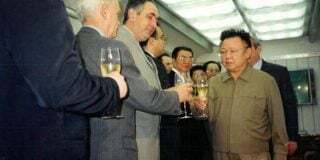 NK News: Before the mid-2000s, it seems that Pyongyang was less influenced by western capitalism. 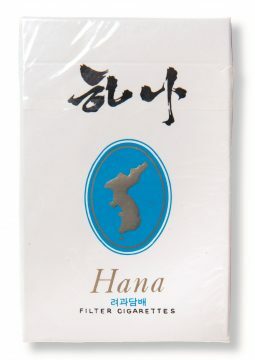 Do North Korean hand-drawn graphic elements for products have unique characteristics compared to the western ones? 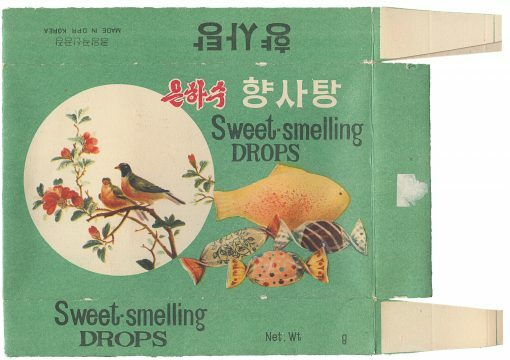 Nicholas Bonner: North Korea’s packaging design was not ‘advertising’ per se. Rather it was to inform you of the contents in a simplistic and almost innocent way- the North Koreans refer to it as ‘promotion’ – albeit it was often jollying up rather dull and mundane contents. The graphics have developed largely independently of the outside world and they now have a much more assured Korean style. Throughout the country, you will see public buses driving around with the slogan ‘My Country is Best’. If you ask an Air Koryo flight attendant which country she likes best she will say the ‘DPRK’ even though the furthest she has and will ever go is the tarmac of Beijing Airport. To present a well-known Korean landmark – a mountain, a building, or sculpture – on a packet of cigarettes, or a box of matches, is to imbue them with instantly recognizable ‘Korean-ness’, thereby making them, in their eyes, ‘the best’ — even in the absence of any competition. Places of revolutionary importance, ancient or mythical, and areas of natural beauty, all appear on different products, lending each item an aura of special significance. Graphically, this means that a simple line drawing can convey a level of importance far exceeding aesthetic decoration. NK News: North Korean graphic artists have a unique style due to the lack of the foreign influence, but the graphics also suggest efforts to emulate Western products. Are there any examples of Pyongyang adopting western-style graphic design? Nicholas Bonner: There are examples such as gift boxes of chocolates and biscuits following obviously western product promotion. 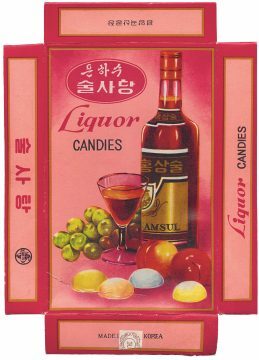 In recent years many products have emerged with packaging that is clearly influenced from non-DPRK versions of the same product. But, in general, the pieces show in the book (and the era they are collected from) are decorative Korean designs informing the consumer in a fairly direct way of what a product is and not, as in the case of western branding, trying to influence you into buying the product to improve in some way your lifestyle, make you irresistible to women, make you fitter, richer, happier, etc. NK News: Are there differences between the hand-designed graphics of North Korea and other former socialist countries? Nicholas Bonner: The hand-drawn graphics in the book are similar to those I had as a kid in the early 1960s in the UK so they would certainly be familiar to a child growing up in the Soviet Union. 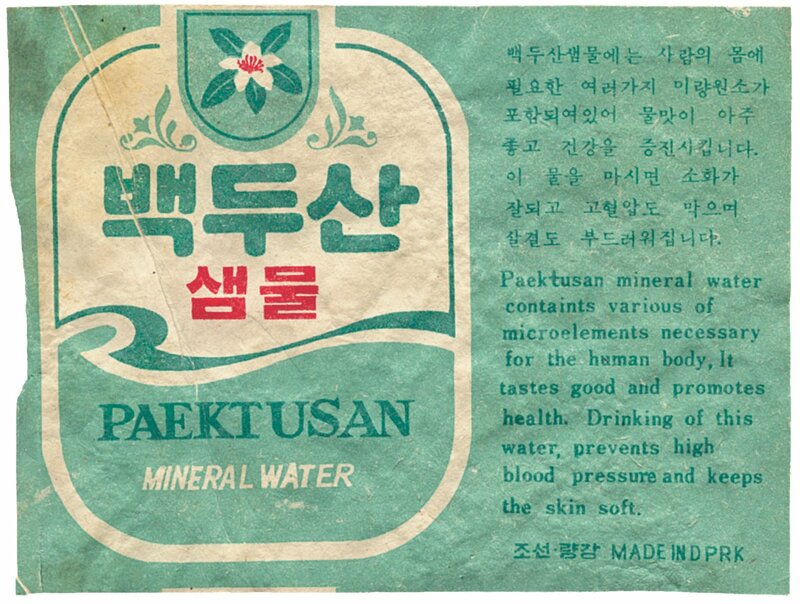 The big difference is, of course, the Korean characters and the way they express the product- for example, classical styles for spring water, action style for comics. Whilst many North Korean graphics draw from styles we associate with the Soviet Union or Eastern Europe, some of the contrast comes from the underlying historical and social roots. Much of the color influence must be naturally infused from the traditional Korean palette — bright fun colors, reds, and pinks, which contrast sharply with the muted tones we usually associate with socialism. NK News: How is North Korean-style socialism or propaganda applied to these graphics in general? Do you believe that most of the graphics are related to Pyongyang’s propaganda? North Korea products are designed to be ‘best’ even with the absence of competition from locally made or imported products. There is a variety of course; various cigarettes and beer types appealing to different people for example. This is partly because some products cost more than others but also simply due to taste and preference, which is thus acknowledged to exist, in a place where most people assume that even this would be decided from the top down and not by people themselves. Even if the quality of the product is a little shaky the packaging is often elaborately designed to lift the product. 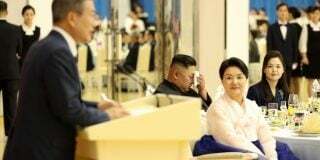 NK News: Are there any memorable examples of how the DPRK promotes the country through graphics? Are there any designs which you are especially impressed with? 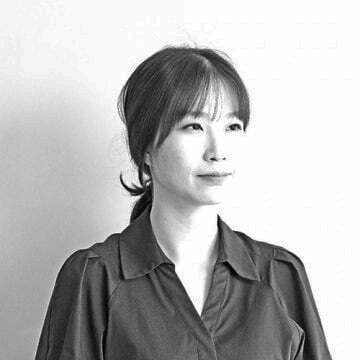 Nicholas Bonner: North Korea recognizes excellence with various awards to boost the status and prestige of the graphic artist. Additionally, there are competitions. 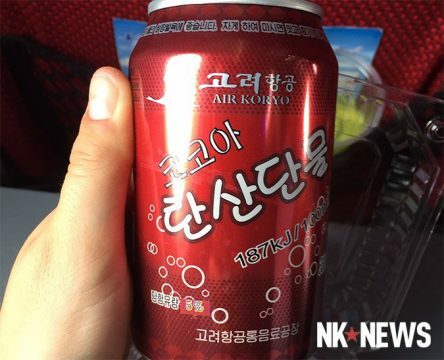 The attention to graphics is perhaps best typified by the simple sachet of sugar which you used to get on the Air Koryo 90-minute flight from Beijing to Pyongyang. The packet had a frivolous decorative design – and it was this beauty which struck me, especially when I was expecting a simple functional design. The state organization involved had to agree that condiments should be provided on the flight; the graphic studio then appointed a designer to decorate it; the design had to pass a panel; then finally it would be put into production. And, in a country not ever associated with frivolousness, this pretty little item, with such simplicity and complexity wrapped up together in its very existence, is perhaps my favorite. NK News: How have North Korea’s computer graphic changed in recent years? Nicholas Bonner: The items in the book are from a specific period of hand-painted graphics, printed mainly using offset lithography. Any change over time has been gradual and not particularly startling. When digital printing and design arrived in the country in the early 2000s, it also coincided with the economic reforms, which meant that foreign products started arriving and competing with local brands for the first time. More local brands trying to outcompete with each other, of course. The fight-back for control of the market was perhaps best demonstrated by the arrival of their red-labeled ‘cola’ bottle (remarkably similar to a certain American model) that marked the end of the hand-drawn graphics and the dawn of digital design in the DPRK. This I see as the watershed between the classic style that the book focuses on and the more globalized versions that are gradually taking over the market. Many current products would fit perfectly well in any store from Beijing to LA – a homogenized glossy look. 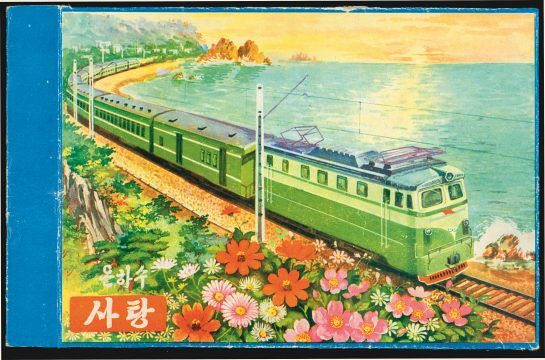 To a North Korean population, hand-drawn graphics are not seen as ‘retro’ – in the sense that in being of a certain past aesthetic they gain some intangible cultural cache – they simply look old-fashioned! 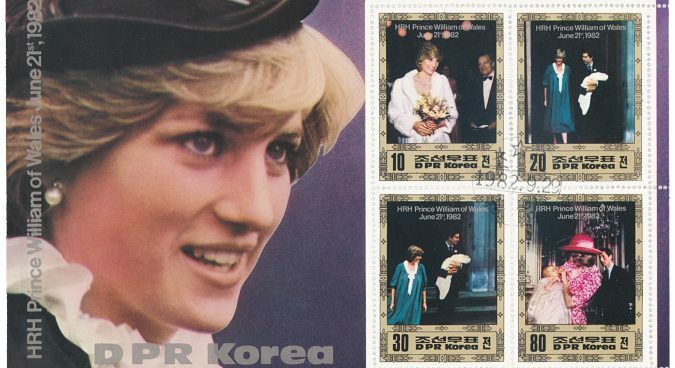 NK News: So you think North Korea has ultimately accepted more western-style graphics over time? Nicholas Bonner: As with their architecture, there is more of an international style which has emerged – modern materials with modern interpretations. It is more homogenized global design and people sadly now see hand-drawn graphics as outdated. Therefore, you end up with the ubiquitous photoshopped glossy images printed on one type of tetra pack or plastic sealed packaging that we find in shops from China to London. It is a loss to the aesthetic world from my sensibility at least. But, of course, if product quality is improving, this does benefit the consumer. And in the end, most of these graphics in the book, are from consumer goods. They want the inside, while I have hoarded the outside! Subscribe to read the remaining 2016 words of this article.